It is difficult to celebrate August when the month ended in such chaos (hello hurricane harvey). I drove to Dallas early Friday morning, not in anticipation of bad weather, but as a last minute opportunity to visit family before the holidays. Hours later, rain and wind devoured the city I've grown to love. Photos filled every timeline and videos captured every moment. I watched friends back in Houston grapple with the destructive force of nature. I also watched friends back in Houston selflessly give of their time, energy and effort to help those in need. Seeing my classmates volunteering at local emergency departments and church members leading cleanups reminds me that goodness is real and sweet. My heart is heavy, but my spirit is light. I am so encouraged to lean into this month and help where I can. And it is on that note that I find comfort in setting my intentions for the month of September. I'm shying away from more specific goals this month and moving towards affirmations. I want to focus on cultivating a life well lived vs well planned! 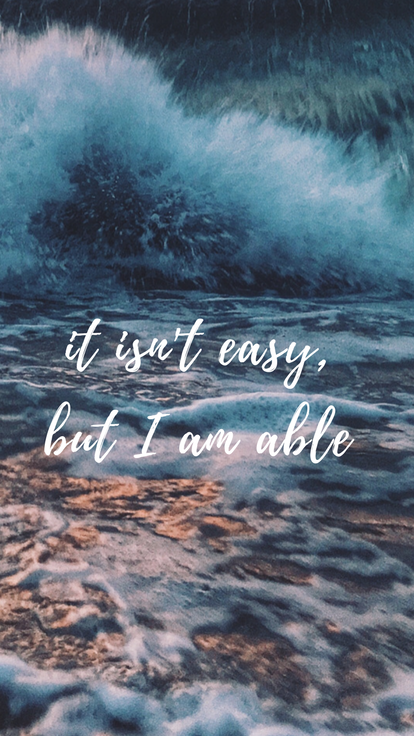 Affirmation 1: It is not easy, but I am able. Affirmation 2: Work for it while you wait for it. 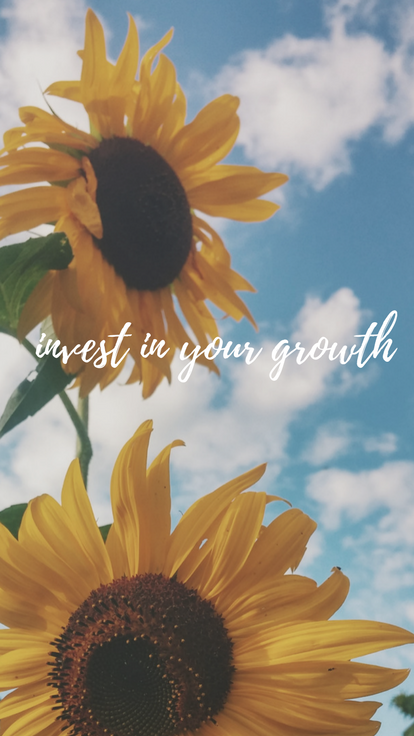 Affirmation 3: Invest your time in people, places, and spaces that are invested in your growth. I created the above phone screensavers to keep my affirmations on my mind all the time - visibility does the heart good. Hi, I'm Christle! I'm a second year medical student in Houston, Texas. I enjoy breakfast tacos and West Wing reruns. Welcome to my corner of the universe. "But He knows where I am going and when he tests me, I will come out as pure gold."